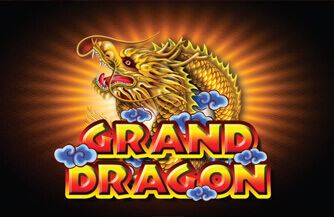 Grand Dragon is a 5 reels slot game with up to 50 paylines by Ainsworth Interactive. The game features Free Games and a Phoenix feature, along with an additional Gamble option. During Free Games a Phoenix symbol appears on reels 1 and 5 only. This triggers the Phoenix feature, leading to increasing winnings. During the Gamble option, the bet is double if red or black is guessed correctly, and it is quadrupled if the suit choice is correct. Winnings may be gambled up to 5 times.